When Amy moves to White Horse Bay she can't wait to start her riding lessons at the local stables. There she meets fiery Leah, and soon the girls are caught up in the first of many adventures. These brave animal-lovers will stop at nothing to help pets in need. 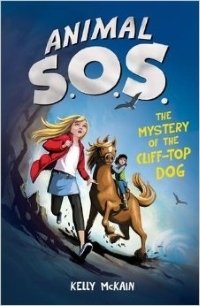 Wherever there is an animal in trouble, it's Animal S.O.S to the rescue! These short chapters books are perfect for emerging readers, especially those who happen to be animal-lovers! Although the two main characters are female, these books would suit both boys and girls who enjoy reading exciting adventure stories and learning about animal welfare issues in a non-confronting manner.